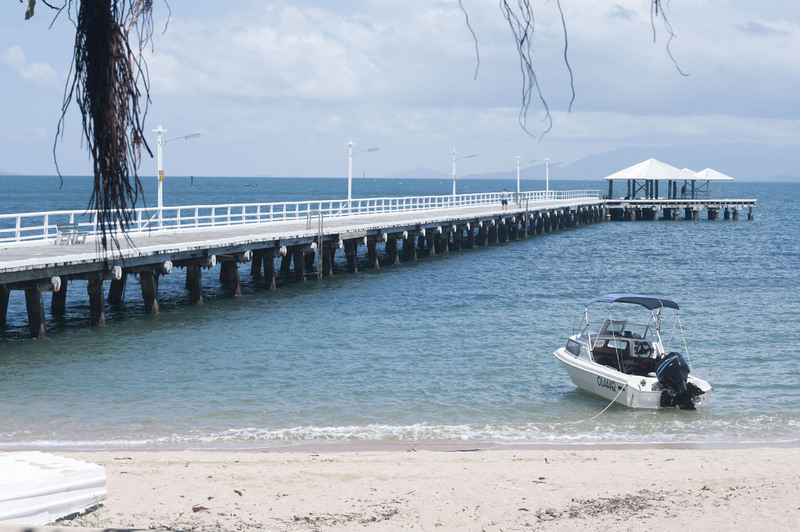 On Saturday we started early (7 am) at the boat ramp in Townsville to spend a day on the water. Luen's friend, Daniel, owns a boat and invited us out. The water was a bit choppy when we went out but that didn't bother us. We first stopped near a sunken boat which has now trees growing on it. It looks pretty cool and Luen got some nice aerial shots of it. Here is a video with the footage we got from the trip. We then went to a tiny island just off West Point where lots of seagulls were flying around. 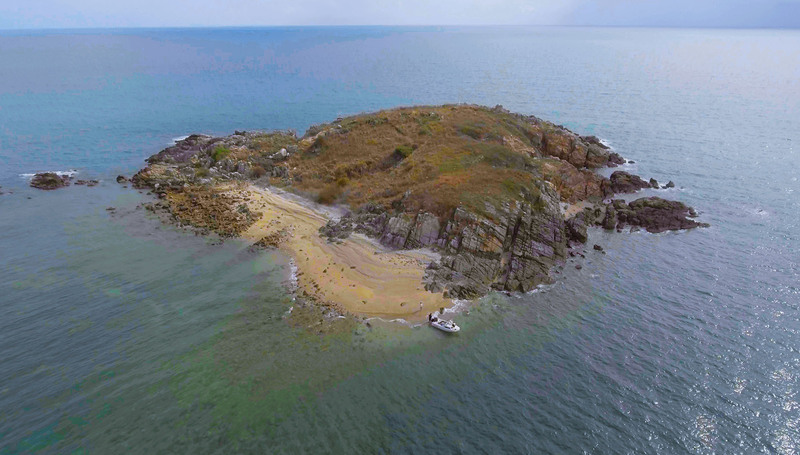 This islet is called Bay Rock. Luen had been wanting to go to five bay beaches for a while, so we checked those out afterwards. Originally he wanted to hike to the beaches. However, after looking at the beach and the steep descent I am not so sure if it is a good idea. Luen thinks it is just fine. A bit too early for lunch we got hungry, so we went into horseshoe bay for a brunch. After being fed we jumped back on the boat and went to Florence bay where we anchored the boat and went snorkelling for a little bit. Everytime I go snorkelling I am amazed by the world that exists under water. However, the visibility was not very good and after a while I felt like I was getting stung. (Slightly) concerned I asked Luen if he felt it too and he told me not to worry. "Just sealice, they don't do any harm". I wasn't quite convinced as I found their bites hurt. When one louse bit me in my lip (ouch) I decided I had enough snorkelling and went back to the boat. Once back in the boat we enjoyed Ginger beer and chocolate (thanks Daniel!) while looking out on to the bay and letting ourselves dry. This was probably my favorite part of the day. There is just something about being on the water that instantly relaxes you. While around this side of the Island, check out Orchard Rocks. Our last stop was Picnic Bay, we sat in the shade and relaxed for a little bit, I went out onto the pier and Daniel and Luen flew their drones. Then we went back to the mainland and even though only having been gone for half a day it felt like we had been on a mini holiday. It was great to see parts of the island I had not seen before and explore Maggie from a different perspective. If you have more time, here are some ideas what to do with a weekend on Maggie.